WCRE is proud to have exclusively represented Lennox Industries, Inc., d/b/a Lennox International, Inc., in the relocation of their new 9,600 square foot regional office and warehouse facility located at The Twinbridge Center, 100 Twinbridge Drive, Pennsauken, NJ. Lennox International Inc. is a global leader in the heating, air conditioning, and refrigeration markets. 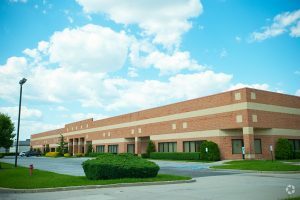 100 Twinbridge is located in the heart of the Pennsauken Industrial Market and is owned and operated by The Bloom Organization of South Jersey, LLC. Lennox International chose this location due to its proximity off Routes 130 & 73 in Pennsauken, New Jersey. The new location will also provide direct access to Interstate 90, Betsy Ross Bridge and Tacony-Palmyra Bridges. Christina Del Duca, Vice President exclusively represented the tenant in this transaction.